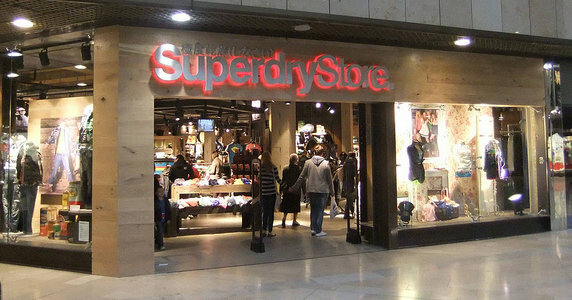 If you live in the UK, you may well have noticed the recent popularity of the Superdry clothing brand. Everything they sell carries a message in Japanese – but does anyone who buys from them actually know what any of it means? 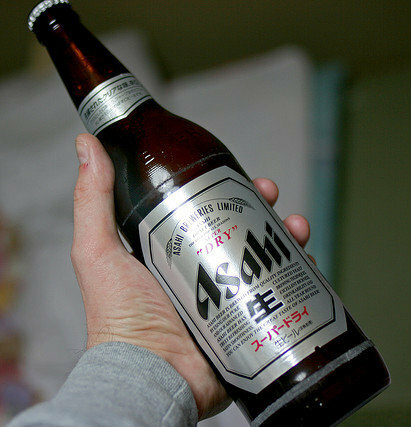 ‘Superdry’ is nothing at all to do with Asahi ‘Super Dry’ Beer (CC) At first I assumed that ‘Superdry’ was related to Asahi Super Dry Beer – a Japanese product which is available in the UK – but a bit of investigation reveals that it’s nothing to do with beer at all. The first place I came across the Superdry brand was on a jacket bearing the logo サンクラスの会社 (presumably a misspelling of サングラスの会社, read as ‘sungurasu no kaisha’, and meaning ‘Sunglasses’ Company’). Other T-shirts have sported ‘Osaka’ across the front, and the curious phrase 会員証な (read as ‘kai in sho na’), which could be translated as ‘membership certificate’ or ‘official member’, followed by the grammatical particle な (‘na’), which is normally used to link nominal adjectives to the nouns they describe – but which is completely wrong in this context. Another widely seen logo is 堅い天候の会社 ‘katai tenkou no kaisha’, which seems to mean ‘hard [as in solid] weather’s company’ – a phrase that bears little relation to the nature of the company’s apparel, which (in the UK at least) seems mainly to be worn on university campuses. 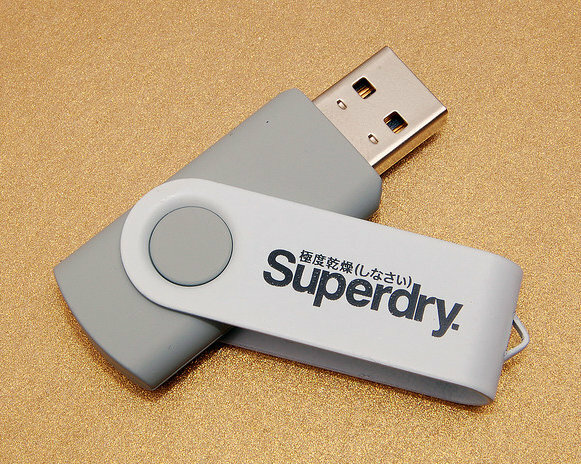 Most recently, it’s the logo below that is most commonly seen on Superdry products. Be maximum dry! If you keep your eyes open, it probably won’t be long before you catch sight of someone wearing this slogan. It reads ‘kyokudo kanso (shinasai),’ translating roughly as ‘maximum dry’, followed by the imperative form of ‘do’, bizarrely placed in brackets. This is apparently a bad attempt at translating ‘Do Superdry’ into Japanese – presumably achieved with the help of a dictionary rather than by anyone with knowledge of the language. Whoever came up with these logos seems to have thought that their customer base (which notably includes David Beckham, Leonardo DiCaprio and Kate Winslet) wouldn’t notice that they were essentially gibberish – and judging by recent sales figures they seem to have been right. Despite (or perhaps because of?) hefty price tags, Superdry has mushroomed into one of the UK’s most successful clothing brands, and now boasts a nationwide chain of dedicated shops, and an international network reaching as far afield as Australia, Venezuela and South Korea – though perhaps unsurprisingly they haven’t yet ventured to Japan – the land from which they supposedly originate. But what makes this brand cool or desirable? Don’t brands have to stand for something? Nike pay sportsmen a fortune to wear their clothes, allowing us consumers to buy their products in the hope that a little bit of the scent of athleticism and victory will rub off on us – so what’s the story with Superdry? Is it a kind of down-market Louis Vuitton – its only aspirational quality being that its relatively high price has led to it being associated with wealth, quality and luxury – despite none of these properties being particularly characteristic of the product itself? But come to think about it – maybe it’s not just the Japanese translations that need explanation. Even in English, what does ‘superdry’ mean? Is the clothing designed for use in wet weather? Not likely given that the core products seem to be T-shirts and hoodies. Maybe it stops you from sweating? Or was the whole brand just dreamt up as a kind of very dry joke? I must admit that I’ve not so far been brave enough to go into a shop and ask – so unless one of you readers is up for it, I guess it’ll just have to remain a mystery.